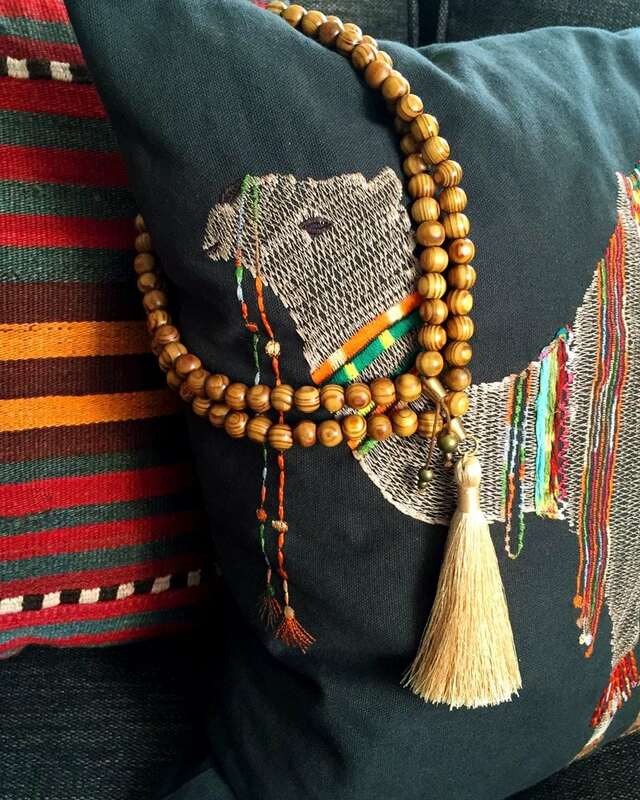 A mala style necklace with burly wood beads and a light cream silky tassel. 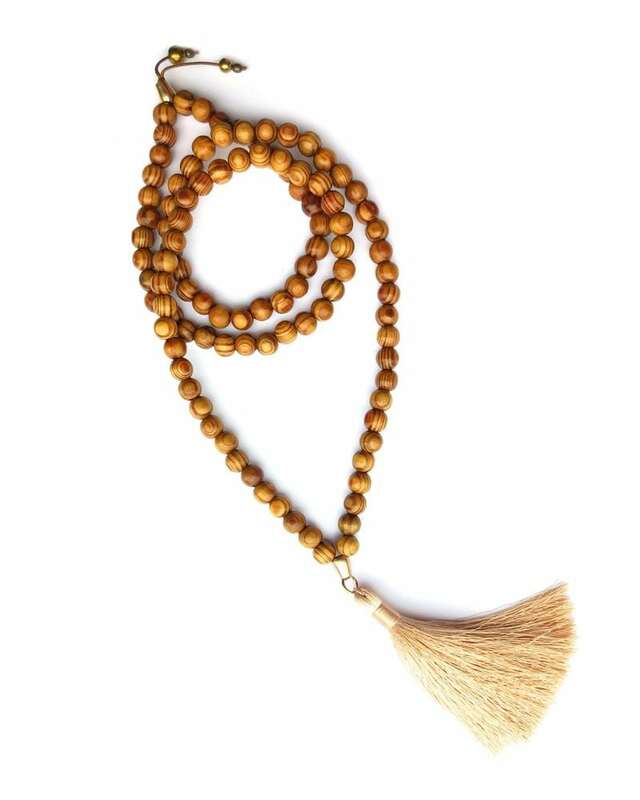 Approximately 34″ long this necklace has an easy over the head design and brass details that pop nicely against the wood beads. A great lightweight statement necklace in beautiful warm neutral tones that goes well with most anything!